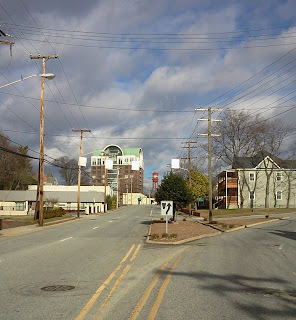 At this time of year, High Point, Guilford County, North Carolina is a virtual ghost town uptown. Full of empty furniture showrooms and unused factories. Foreign imports have had a deadly effect on the furniture industry, and the communities reflect it. High Point is merely 5 miles from Thomasville in Davidson County and both towns have suffered greatly in recent years from plant closings and cutbacks. America is bleeding jobs. 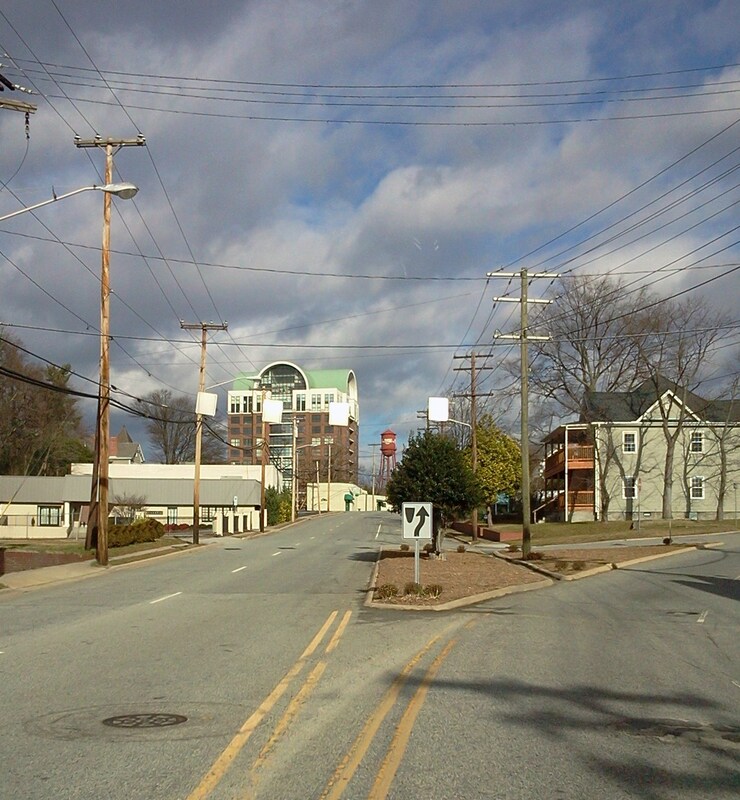 High Point, itself, located just inside Guilford County, is a dichotomy in itself. A rare blend of the old and the new. Turn of the century Victorians and boarding houses interwoven among the modern showrooms and stores. I call her High Pockets, a nickname my former father-in-law had given the town, as his second wife and her children hailed from there, and they visited often. I had not been there in twenty years. In researching the Peace family, and the further ventures of Alta Valedia Kinney Davis Peace, it took me to the R.O. D. in High Point. Another county notch on my belt of research. I had made a list of goals: Find out more about Johnsie Peace, Find Travis Crump in the 1940 census, Find Christine Davis and Maxine Davis in the 1940 census. I accomplished all but one of these. And more. Knowing where Travis Crump should have been in 1940, I was that his oldest daughter, Rosebud, who was by then married, had also moved there. Looking at the neighbors, just two houses away was this record. The transcribers really messed up on this one. That is why it could not be found. Travis became Tranis and even with the enumerators near illegible scribble, looking at the original document, Crump looks nothing like Owens. The ages for Travis, Mary, their younger daughter Pauline are correct. "Jenne Owens" is listed as a niece, and clearly says "Jewel" on the original document. And she was not a Crump, but a Davis. I had thought that Johnsie Peace, the twin sister of Johnny Lee, must have died as an infant, but a death certificate could not be found. Actually, no other record but that of her birth could be found. Then, I thought a moment, as researchers need do. She was not listed among the living descendants of the Davis twins, but that did not mean she died as an infant. Knowing that her twin brother had been adopted by a Russell family, I tried looking under that. And there she was. She died young, but not as a child. She had made it into her 30's and her death certificate was in High Point. Her adoptive parents also had ties to the Kinney family, her mother's family. I am sure the Myers who adopted her other brother, Jerry, probably was related as well, since her grandmother's maiden name was Myers, as the adoptions were not private, as the siblings had kept touch with each other. I found Christine Davis in the 1940 census by looking through Archives.com. Archives had her listed in the 1940 census as Christine Davis, a boarder. Ancestry.com's transcribers had incorrectly read her name as "Christine Lewis". The actual record says fairly clearly "Davis". I knew she was likely in Winston-Salem for the census, as 1940 was the year she married, and her husband, Harvey Joy Cantrell, was enumerated there as single. I have not found Maxine Davis in the 1940 census yet, but while in Guilford, I found an unexpected treasure. Thinking perhaps the girls, who were teenagers upon their fathers death, may have kept contact with their stepmother, who had remarried and moved to High Point, I looked for Maxine's name in Guilford County, and found a marriage license to a Joseph Jesse Dooley on April 7, 1956. After finding this and knowing that Maxine was a Craven when she died, I found the divorce record. I did not have the name for Mr. Craven, that Maxine had married after April 1, 1963. Knowing that Maxine had moved back to Vass, Moore County, where she had spent several of her childhood days, prior to her parents deaths, I searched for Cravens who had passed in Vass. Thankfully, Craven was not a native name to Moore County. Quickly, I found a Benton Craven and upon researching him, he did have a wife named Maxine. When Maxine married J. J Dooley, she was 35 years old. My theory for why I can't find her in the 1940 census, is that she had a husband prior to Mr. Dooley. Their license has her listed as Davis, so she likely went back to her maiden name. Maxine was 20 during the 1940 census and young ladies had a tendancy to marry early during those days. The next step is to find a marriage license prior to the one in 1956. Or maybe more. I'm glad I thought to look in Guilford County. A trip to Forsyth is in order.